Manchester United To Offer Chris Smalling A New Deal? Manchester United return to Premier League action on Saturday, when they’ll take on Crystal Palace. The Red Devils are placed rather precariously, with even their 8th spot on the table not looking all too secure. Then there’s the concern of their defensive woes – the side has conceded 21 goals already this season, one fewer than they’ve scored. This stat is worrisome due to Jose Mourinho’s image as a defense-oriented gaffer, and is a further woe, as even David De Gea has been helpless in the face of goals. Much of their fault lies in the lack of a leader in the heart of their defense. Now, a change may be about to occur to one of the players who currently occupies that spot. According to the Daily Mail, Manchester United have commenced contract talks with Chris Smalling, with the player expecting a rise in paygrade from £80,000-a-week to £120,000-a-week. If the talks break down, the club does reserve the option of activating a 12-month-extension clause in the Englishman’s contract and revisit the talks at a later point. However, the report understands that the higher-ups at Old Trafford would rather secure the player’s contract at this point itself. 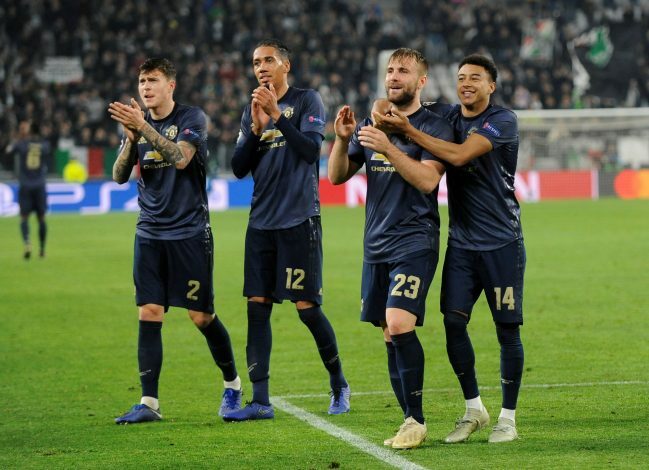 Alongside Lindelof, Smalling has eventually found a half-decent pairing at the back, but there is no denying that their efforts are nowhere near capable enough of what a club like United requires to compete at the top level. Mourinho was vocal about his displeasure towards the club when they were unable to land a defensive specialist during the summer window. A host of names had come under the side’s radar, with the likes of Toby Alderweireld and Harry Maguire featuring heavily. However, if Smalling does receive a fresh extension, it begs the question of what this means for the prospect of Mourinho’s hopeful defensive signing in the winter window.